..and you thought Otto Carter was expensive. A sign an industry is doing well – is when someone encrusts its products in diamonds. Say hello to the £550,000 ($887.205 USD). Soon to be cloned at fasttech for $33.00. It is the ultimate bling birthday present for a wealthy Russian billionaire’s girlfriend who has everything but wants to give up smoking – at a cost of more than half a million pounds. The masterpiece – which took four and a half months to create – is laden with 246 flawless two-carat clear crystal diamonds each worth £1,800. Finally the 4 bay version of the LCD battery charger by Efest! The original 2 bay version was a big success but there was a problem – only 2 bays! Your getting the 4 bay version for around the same cost as the original 2 bay version. 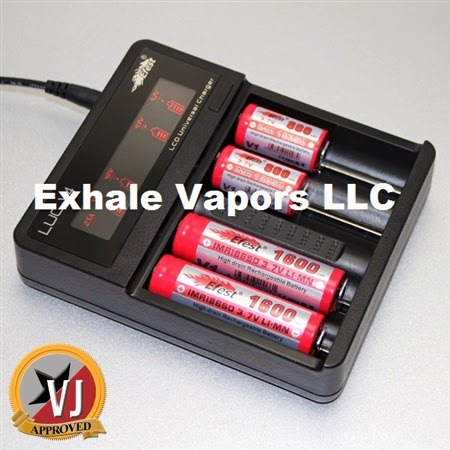 These charge everything from 10440 to the very large 26650 with an LCD display! The evil clone empire never rests! A few days ago the Kayfun 3.1 replica was launched but I wanted to give it a few days before posting it – to get some feedback. 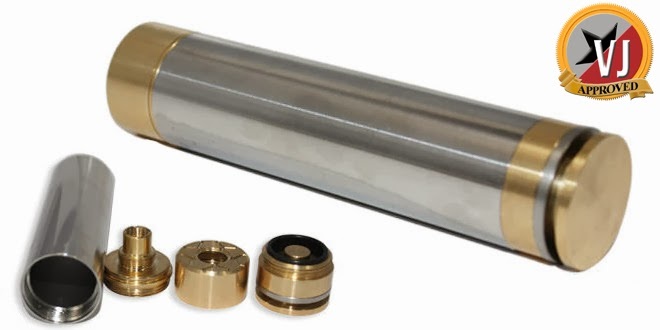 In terms of construction – Kayfun owners have told me this is extremely close. 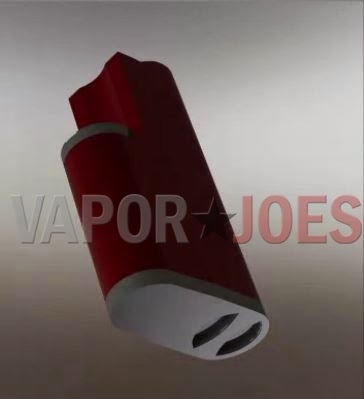 How it vapes? Only time will tell. 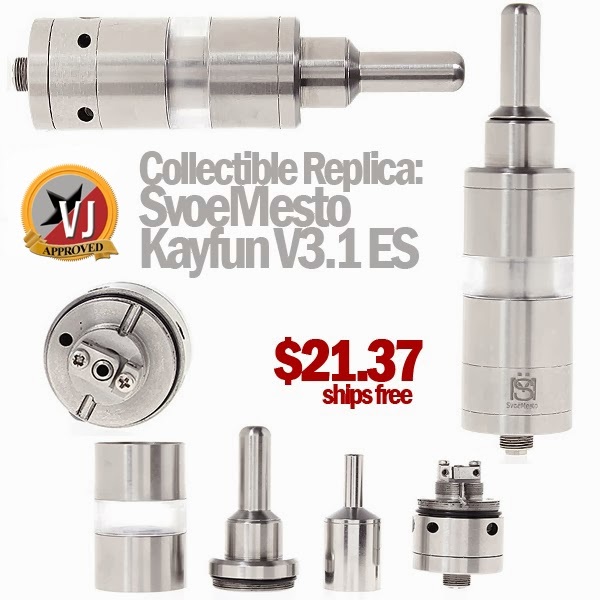 For $21.37 – if its only half as good as a real kayfun – its a steal. If a Zen Sidewinder and a DNA20 had a baby – this would be it. I don’t normally post renderings and prototypes but I thought this was very very cool. A few of my scouts were out and about and found this. At first glance I thought it was a new sidewinder by ZEN. Its not, but shocking close in my opinion. They call it the Diablo Fulgoris. What is known is this will take a 18650 battery, uses a DNA20, and my source tells me it will cost around $300.00 when finished. These are just renderings and prototyping is immanent. I think its going to be a big winner. I always liked the sidewinder style design. The Clone Empire loves its brass! The Stainless steel version has proven to be a very impressive replica, and we expect nothing different from the brass, other than even LESS voltage loss. 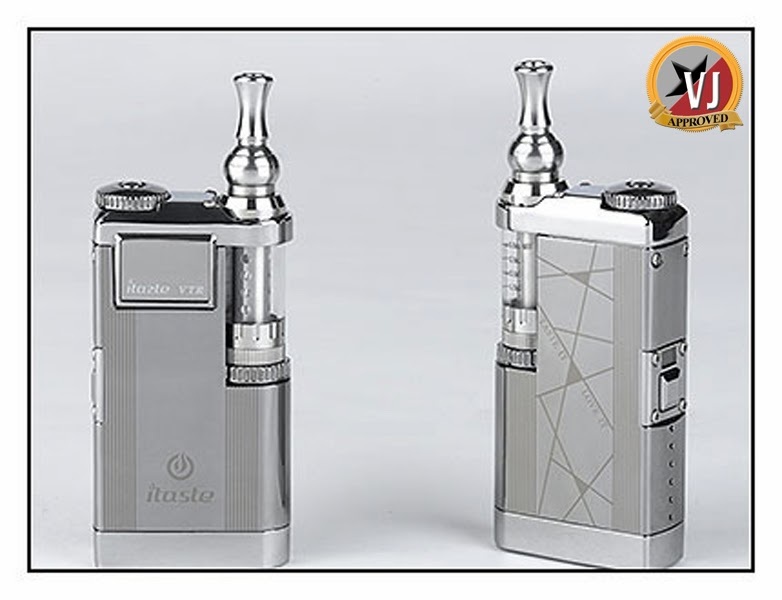 Features include an adjustable pin, airflow control, bottom locking button, silver plated contacts and the familiar etching of the original. Extension tubes allow the use of any 18- series battery. 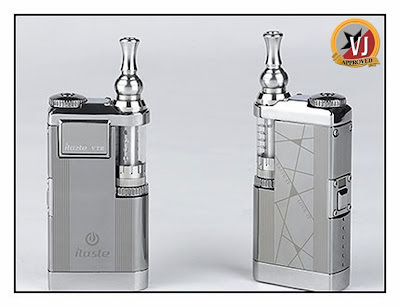 Here is a fantastic deal on the Smoktech RSST! Ekowool has been some of my biggest posts to date. Now you have the ability to try it for a very small investment. This seller on eBay is selling 2mm from 1 – 12 feet long. If you haven’t tried it – its a $2.45 with free shipping. If you already love it – here is an opportunity to get it at a good price in large amounts. The original MVP was a huge success and is still a very popular mod. The new version is a variable wattage version with some nice upgrades. Ohm meters have been hitting the market and selling out fast. Now you can get them at half price! These have an ego connector so you can test both 510/Ego connected atomizers and builds. These also have the proper 3 digit readout for sub-ohm builds. 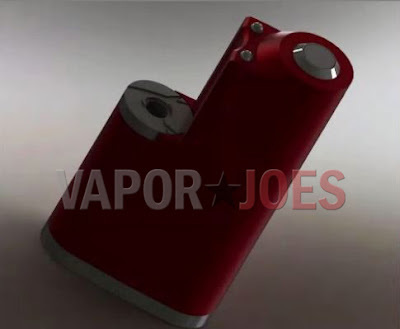 Here we have a great deal on the EHpro’s version of the Electric Angel. 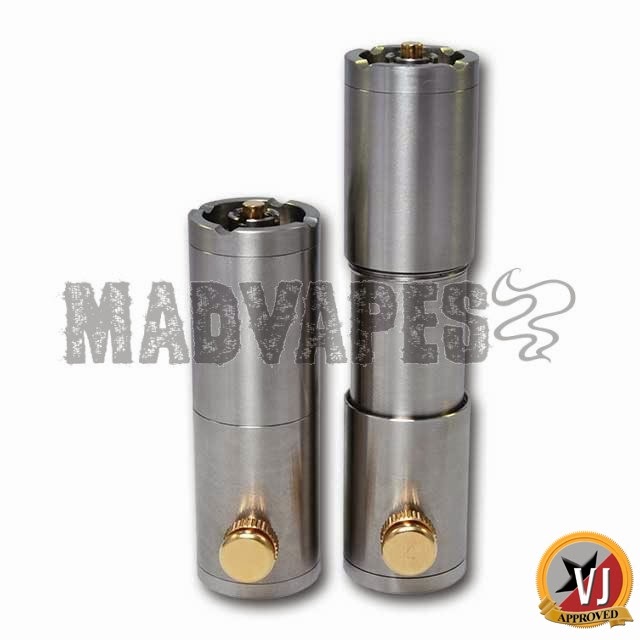 EHpro is known for their high quality mods and Madvapes has them at a great price! 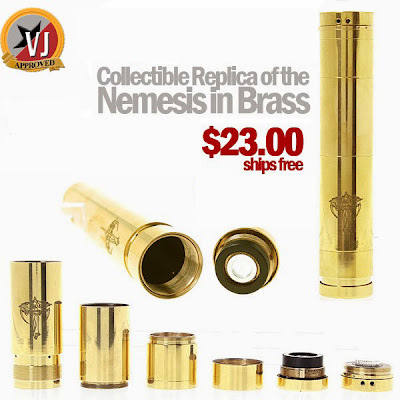 This is a top-of-the-line mechanical mod at a great price. 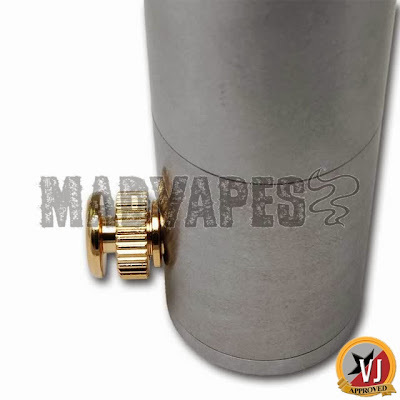 The EA Mod is constructed of stainless steel and the contacts are made of gold-plated brass for excellent conductivity and virtually no voltage drop. The EA also has a floating center pin, to ensure that anything you attach to it will look great and have proper airflow. The top cap is removable, and has 510 as well as eGo threading, so you can use virtually any atomizer, cartomizer, clearomizer or tank. 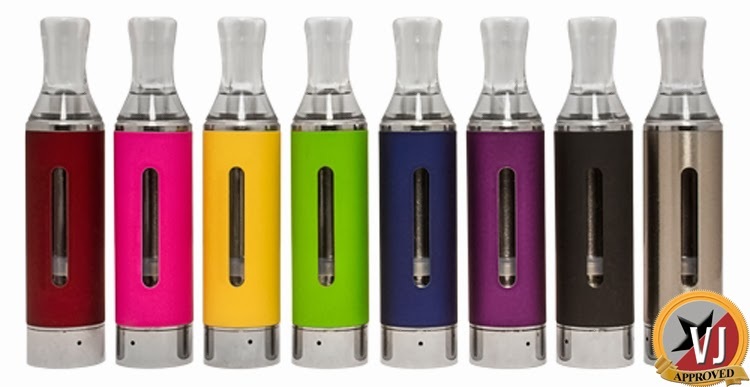 The EA comes included with 2 telescoping center tubes, so you can use any battery configuration you’d like. 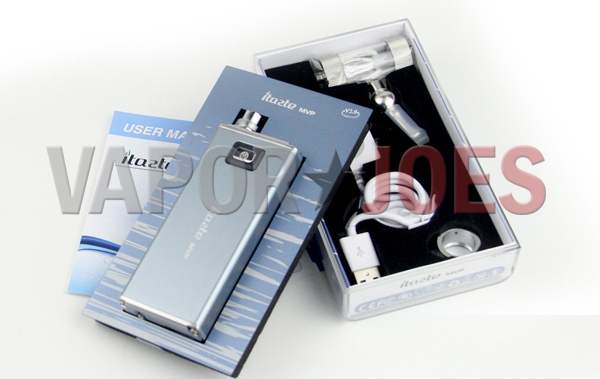 The smaller tube will accommodate any IMR battery from 16340 to 18500. The longer tube will accommodate an 18650 battery as well as an 18650 WITH A KICK! 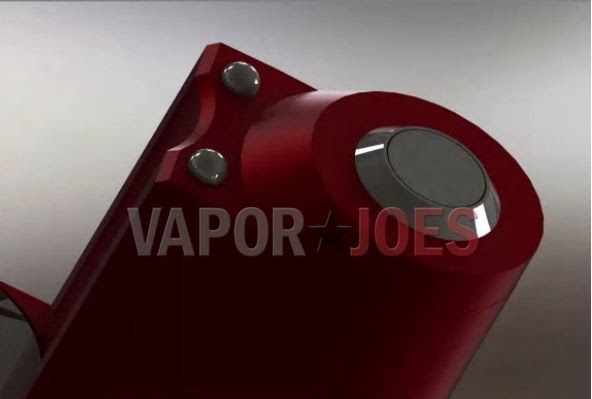 With this mod, you won’t have to sacrifice battery life for variable wattage capability. With a side-mounted bottom switch, this mod has everything you’re looking for in a high-end mechanical mod for a fraction of the price! 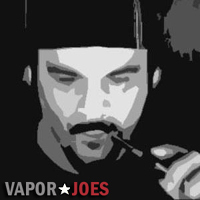 Here is a new juice vendor that has a is getting a lot of buzz in my vaping circles. Starting today they are offering 3 x 15ml bottles for just $14.49. A very inexpensive sampler. 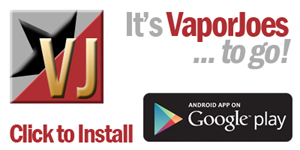 I have vaped a number of their liquids – all very good. I would advise trying out the Strawberry Clouds and Nutz over RY4. The Clone Empire is working overtime! In a stunning turn of replication – the Poldiac is the next to fall! One of the few merchanicals I didnt think they would attempt. Pretty unbelievable, but here we are. The engravings have been left out – which is a good thing in my opinion. I have a real Poldiac so we will see how they stack up.